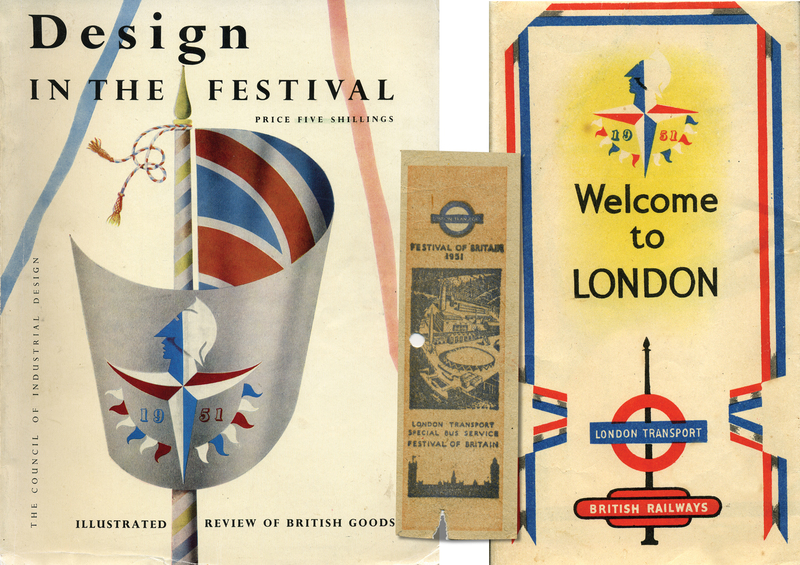 Those of you who know us will already be aware of the influence that the 1951 Festival of Britain has had on our work. 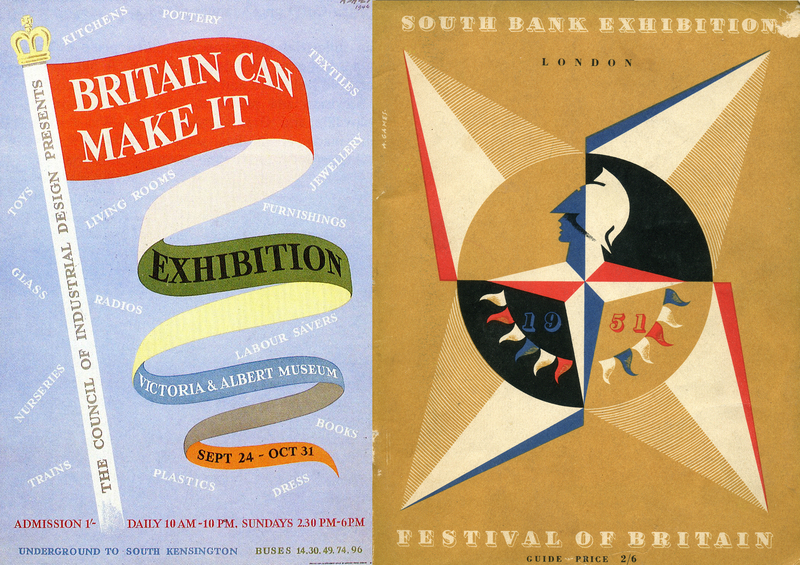 As keen collectors of ephemera from the Festival, we celebrated its 60th Anniversary in 2011 with our Festival wallpaper design, which highlighted pavilions, sites and icons of the Southbank exhibition. Some of the icons included the Royal Festival Hall, Dome of Discovery and the Skylon. Sadly, apart from the Festival Hall, these icons are long gone. 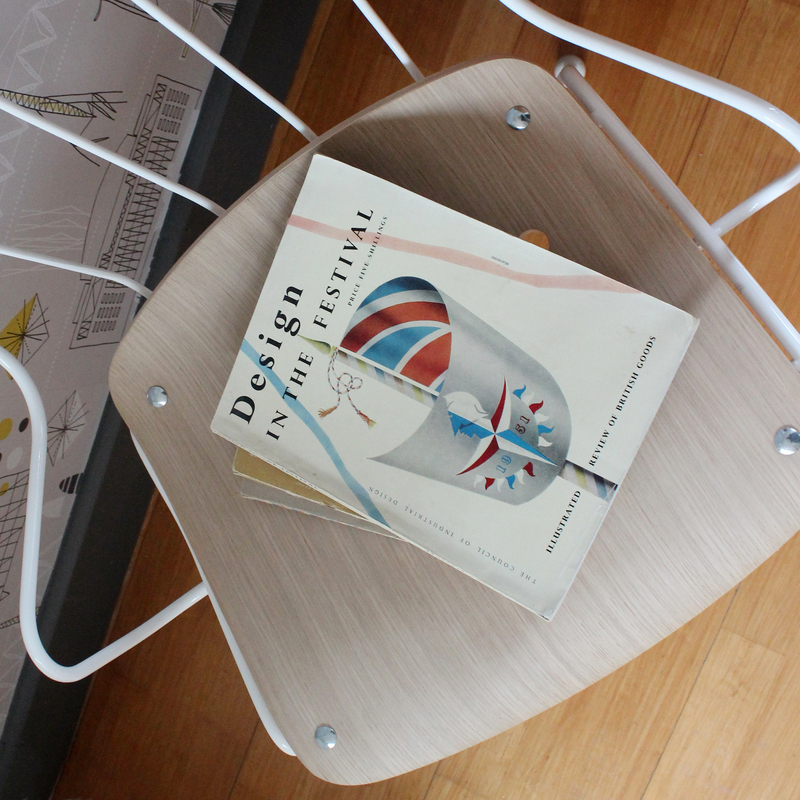 But there’s one icon of the Festival of Britain that was neither a big structure nor an exhibition hall, but a simple, modern chair. 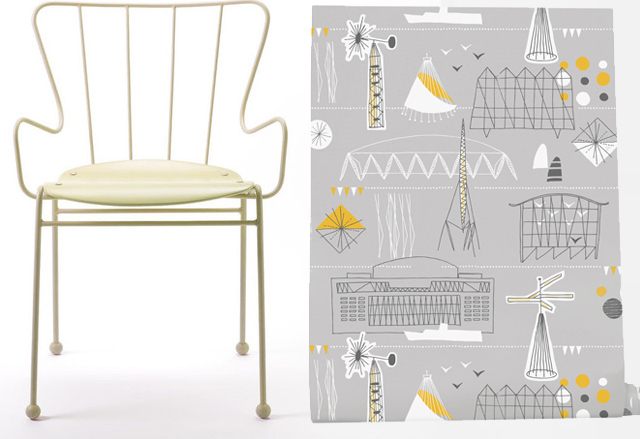 The Antelope was designed by Ernest Race especially for the festival – for use as outdoor seating – and its linear form was a big influence on the illustrative style of our Festival wallpaper. Inspired by new technology and materials, Ernest Race founded Race Furniture straight after the second world war. Under the government’s ‘Utility Furniture’ scheme he was encouraged to explore new and alternative materials to preserve post war Britain’s resources of timber and other scarce materials. After many years of ‘make do and mend’ during the war, in 1946 the V&A hosted the morale boosting ‘Britain Can Make It’ exhibition. It was a perfect time for Race to showcase a new range of cast-aluminium furniture – combining traditional styling with revolutionary new manufacturing processes. Working with limited availability of materials brought Race’s genius to the fore. Metals were sourced from salvaged war planes and parachute silk was used for upholstery. The result was the creation of some of the era’s most innovative pieces of furniture. Unusually, Race often named his pieces after animals, like Heron, Roebuck and Flamingo. A herd of Antelopes stalking the Dome of Discovery in 1951 and a family enjoy a breather from all the excitement on the iconic chairs. In 1951 the Festival of Britain brought the work of Ernest Race to an even wider public audience – with two more animal named chairs: the Antelope and the Springbok. Both chairs were adopted as terrace seating at the festival and were a huge hit with visitors. Today the Antelope is recognised as one of the most defining icons of the 1951 Festival. Its light, fun design summed up the optimism of the time, and is still available as part of Race Furniture’s Classic Furniture collection. This week we are very excited to be taking over Race Furniture’s social media – so watch out for our ‘Adventures with an Antelope’ tweets and instagrams. Hope you enjoy our adventures.